Currently in the field thinning our early white peach trees. What we look for are the healthiest fruit on each hanger, keeping only the best three pieces and thinning the rest. This allows for the remaining fruit to size, ensuring superior tasting top quality fruit reaches your produce department. Specifics: On early varieties we can expect roughly 150 pieces of fruit per tree at harvest. Later in the season as fruit has more time to grow, we climb to 700-800 pieces of fruit per tree, giving you amazing white peaches throughout the season. Weather: We couldn’t ask for better weather conditions. Currently in the 70’s which is ideal. We have some expected rain showers coming over the weekend as well. Hot Pick: Our mandarins are looking great and we will have a continuous supply through May. 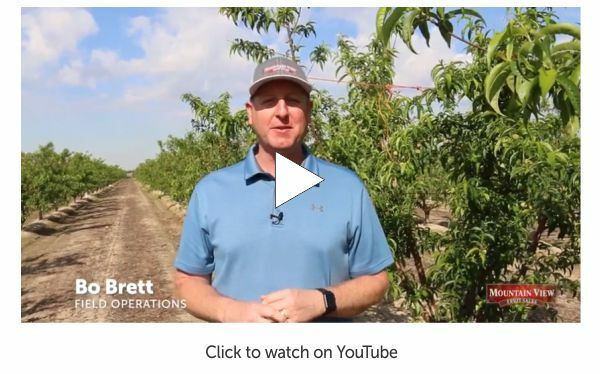 New for 2019, we're telling our story with even more posts from the field and all aspects of our farming operations. 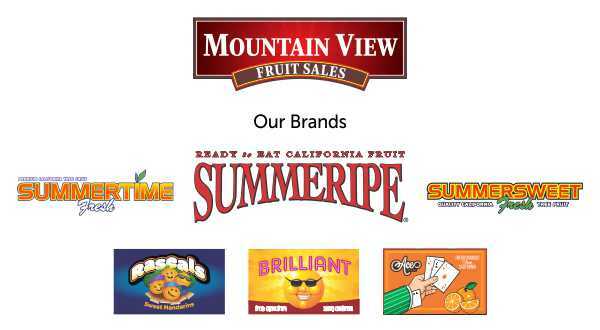 Stay tuned and follow all the @mvfruit handles for the complete story. Use the links below to follow us on Facebook, Instagram and Twitter. Feel free to share out our posts to help tell the journey of our delicious fruit. Below are a few recent post examples. Adopt a Grower family to feature in ads or in store. We've got photography, posters and more to help with your next "We know the grower" campaign!